Nick and I recently celebrated our anniversary in Big Sur. While I was excited for hiking and sightseeing (waterfalls! whales! ), I also was looking forward to finally bringing out some of my fall clothes. We’ve been enjoying a hot Indian summer in our neck of the woods, but I knew it’d be cooler on the California coast come evening. Since we were staying at a campsite—okay, more like a glampsite—that meant post-hiking wear would be comfy and casual. 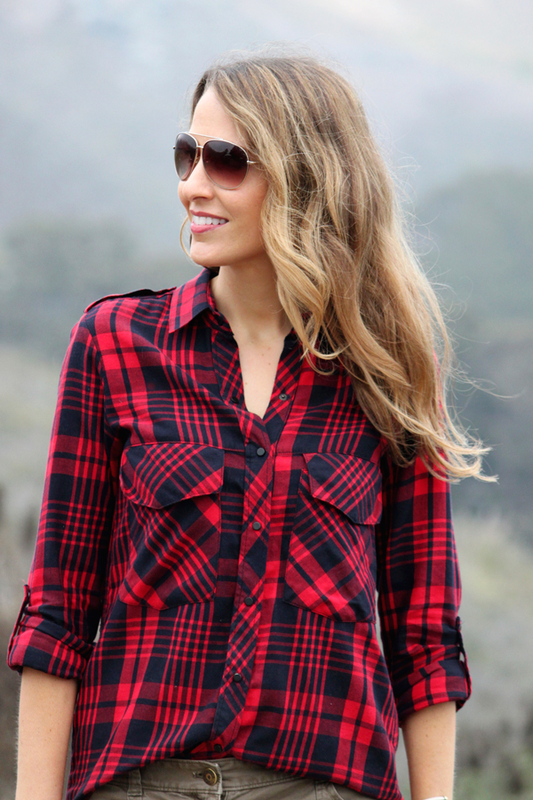 This red plaid shirt from Zara is a favorite from last fall, and these skinny J. Crew utility pants have been a staple in my wardrobe for years now. The combo felt campground appropriate, although I’ll be honest, this definitely wasn’t camping. Zara checked shirt. J. Crew utility pants (currently on sale!). 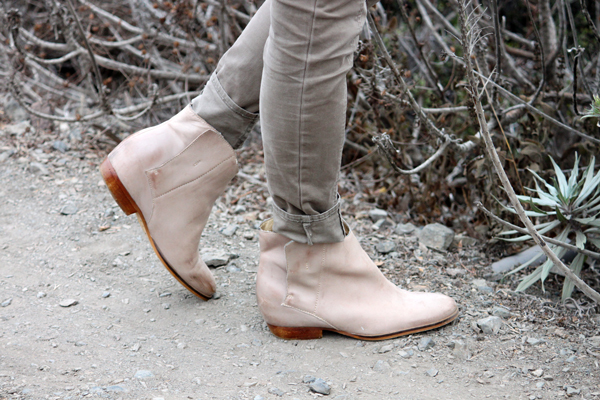 Similar Latigo booties. David Yurman bracelets. P.S. 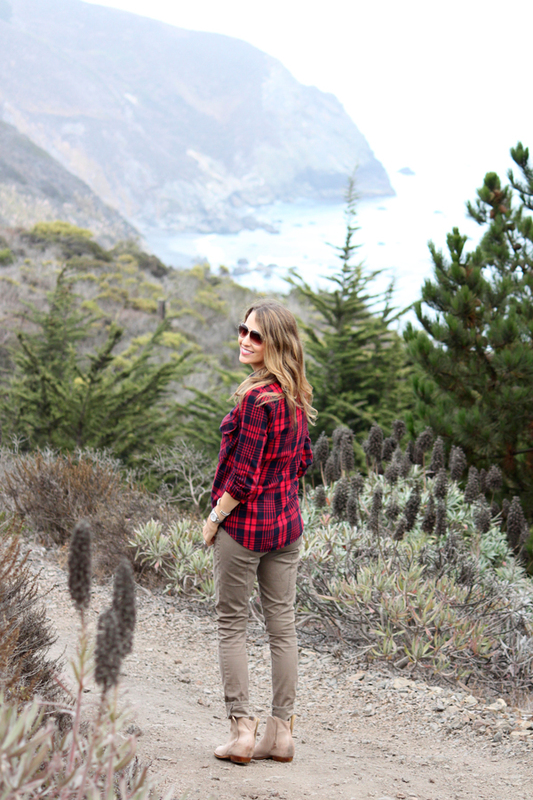 More details from our trip to Big Sur. These boots are so cute! Great fall outfit! Hi! Love your plaid shirt, have to have it! Does it run small or true to size? Found it online @ Zara & not sure what size to go with. I like the relaxed fit you have. What size is yours? Thanks! Great pictures! Hey Vanessa! Thank you so much for letting me know that this shirt is back in stock at Zara! I've updated the link to make it easier to find now, so thank you! I have a size Small from last fall. As long as the fit is still the same, I'd say it's true to size! And that I'm going to order another one in the new blue color :) xo!